The Dallas Cowboys moved Center Travis Frederick and Wide Receiver Terrance Williams to injured reserve on Saturday. Despite needing only one roster spot freed up to activate Defensive Tackle David Irving, who will not make his season debut in Houston on Sunday, both moves are not a surprise. While Williams' injury is a last-minute addition to this week's injury report, allowing the Cowboys to make their desired move with the sixth year WR, Frederick continues to battle GSB and has no timetable to return. The earliest possible return date for Frederick is the Cowboys week 15 game at the Indianapolis Colts. 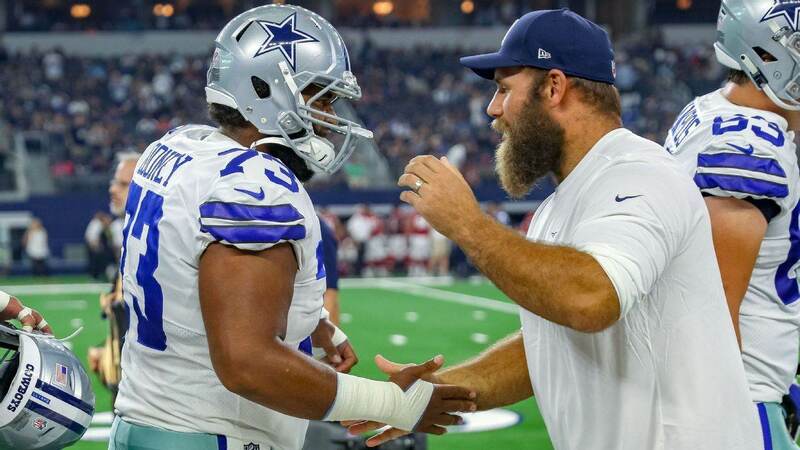 Until then, and very plausibly beyond this point through the regular season, the Cowboys starting center will continue to be veteran Joe Looney. The Cowboys allowing Frederick to focus on his recovery without the pressure of possibly returning with each passing week is a nod to Looney's admiral performance through four games this season. 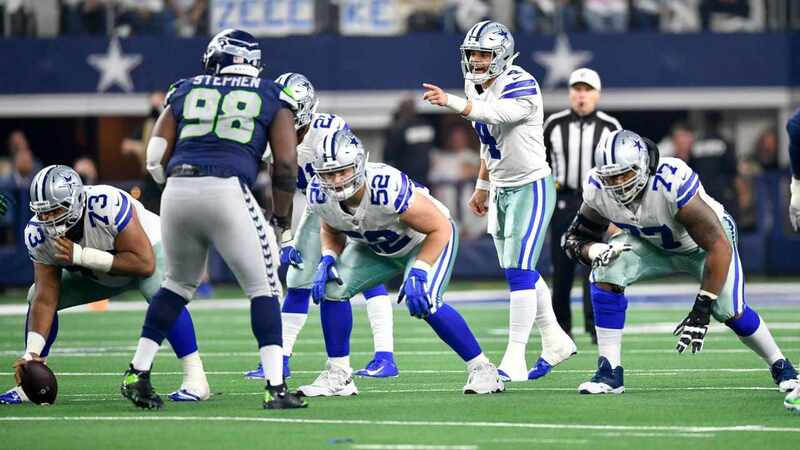 It should also serve as a point of reassurance for the entire Cowboys offense, inspired by OL play, that the team can properly evaluate depth players across the line to maintain their status as the league's best front. Looney was signed in 2016 as insurance at both guard and center, playing his way onto the field in Jumbo packages as an extra tight end. "Jumbo Joe" took on a persona of his own, mainly as a player here to stay, particularly when he showed up to practice in Ezekiel Elliott's #21 jersey - pulling off the crop top look at 315 pounds. Looney will not make four Pro Bowls. He will likely never be a first team All-Pro selection. When asked to block some of the best defensive tackles in the game this season though, the Cowboys have not experienced a noticeable drop from Looney's level of play to Frederick's. 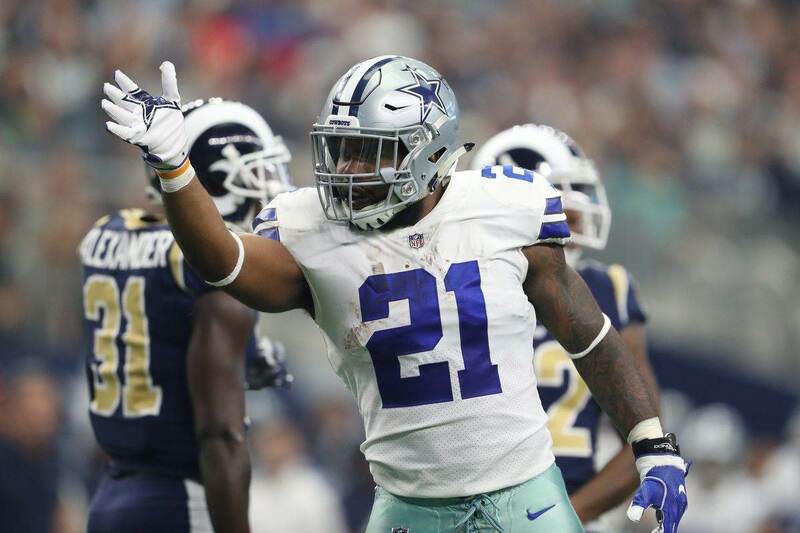 Elliott still leads the league in rushing, and rookie Left Guard Connor Williams has been able to develop as planned despite not starting between Tyron Smith and Frederick. Thinking all the way back to draft night, I asked Williams about the importance of learning from two perennial All-Pros. As expected, he responded with some general thoughts on his excitement to play with all of the Cowboys linemen - Looney included. No, Williams didn't specifically mention Joe Looney at the time, but he's become as much a part of the Cowboys culture on offense as any other blocker. Having already dealt with Kawann Short of the Panthers (11 tackles, 2 sacks, 4 QB hits this season) and Damon Harrison of the Giants (19 tackles, 1 QB hit) this season, Looney faces another stout test on Sunday night in Texans nose tackle D.J. Reader. Expect the center that pulled his best Frederick impression by blocking in space on Elliott's 38-yard screen pass for a touchdown a week ago -- motivated by some imaginary Krispy Kreme donuts in the end zone - to hold up just fine once again. Cowboys C Joe Looney on his down-field block near goal line on Ezekiel Elliott's 38-yard TD on screen: "Everybody was just so surprised about how fast I was running & I told them, there was a little @krispykreme box down there that I saw & I had to go down there and get me one. The Cowboys need not look past Looney when dispelling the myth that their offensive line play has regressed. More importantly, nobody in Paul Alexander's room would buy into this in the slightest, especially a confident starter like Looney that now has the full trust of his teammates and coaching staff. 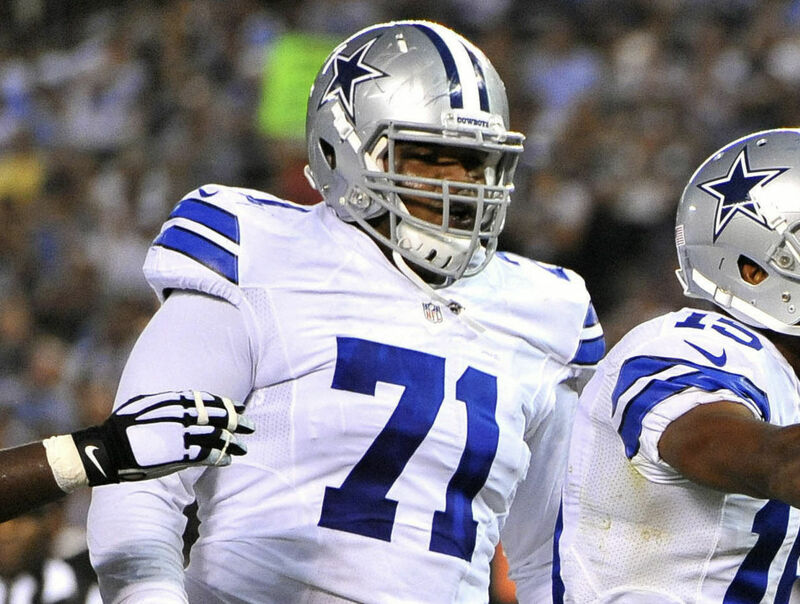 Tell us what you think about "Cowboys Moving Frederick to IR A Vote of Confidence in Center Joe Looney" in the comments below. You can also email me at Sean.Martin@InsideTheStar.com, or Tweet to me at @SeanMartinNFL!